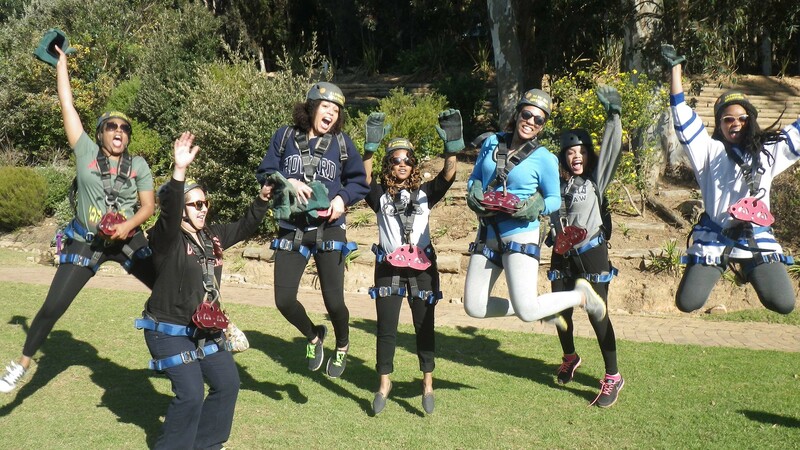 Our Cape Town Ziplines Adventure will ensure that you will experience one of your most memorable activities in the Mother City. Ideally situated in Cape Town and accessible from all major transport route including the Hop-on, Hop-off City Sightseeing Cape Town Bus. 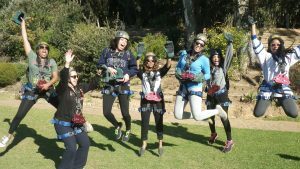 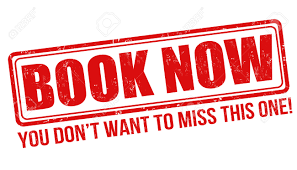 This privately owned property “Silvermist Estate” has a number of facilities including a restaurant – conference facilities and other team building options as well to cater for groups – or individual bookings. 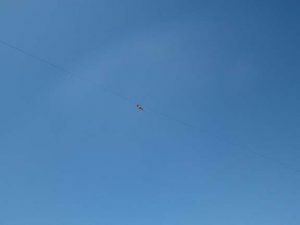 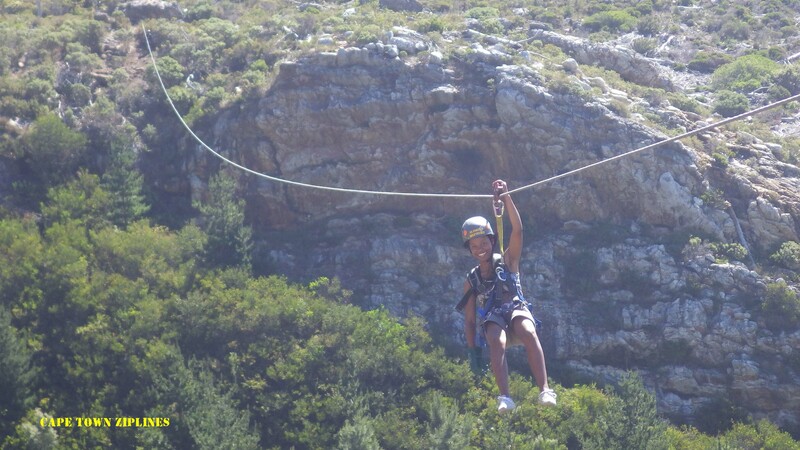 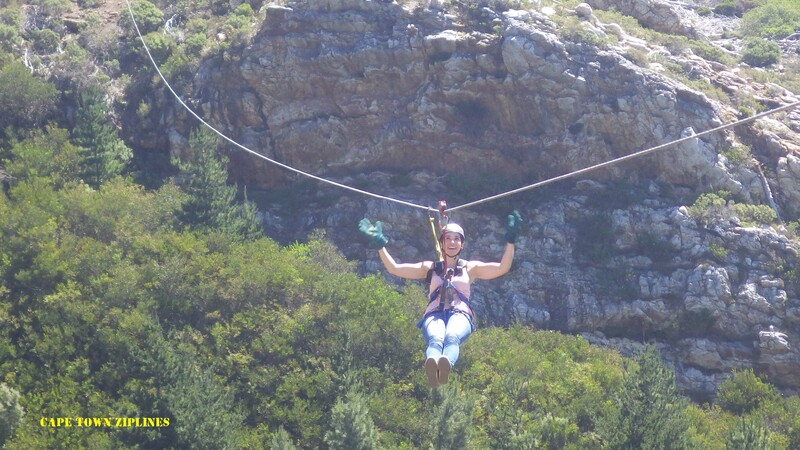 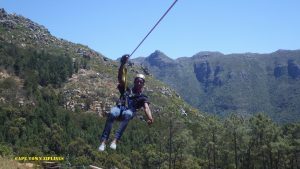 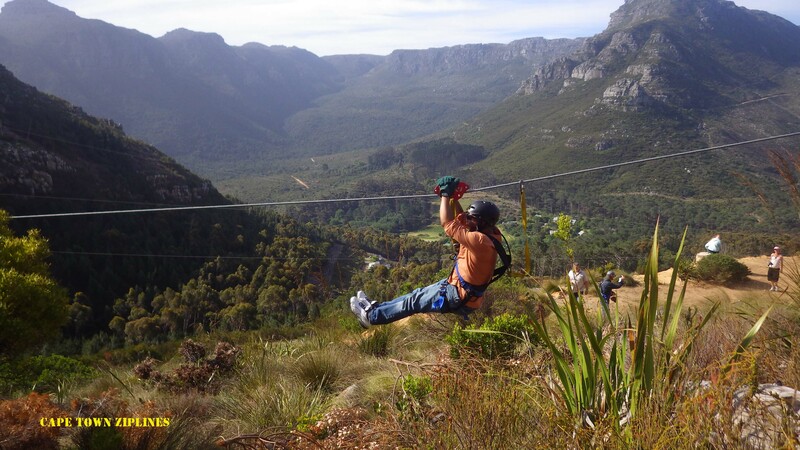 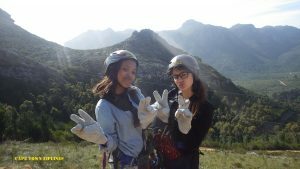 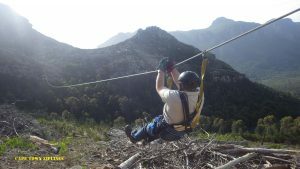 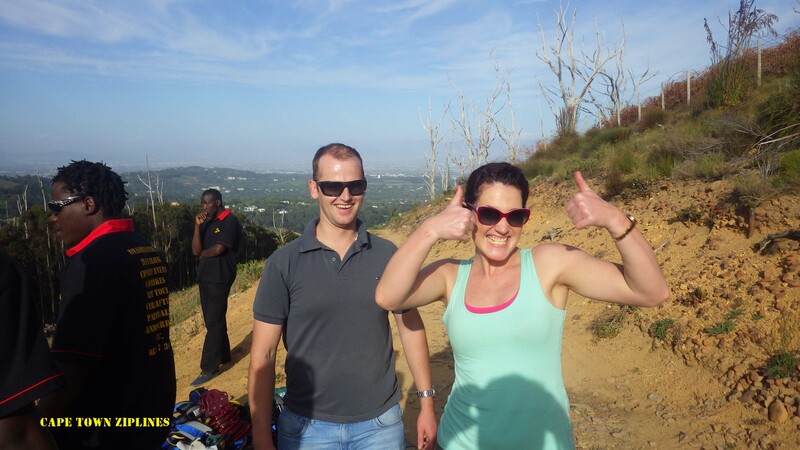 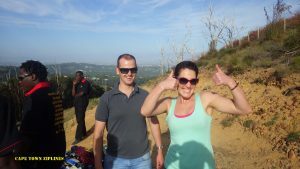 This is one of Africas longest and highest Zipline tours based in Cape Town. 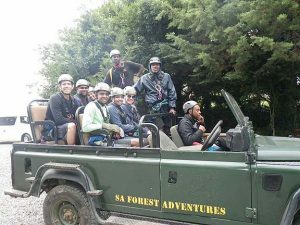 The adventure begins with a brief safety introduction at our office with in the Silvermist Estate. 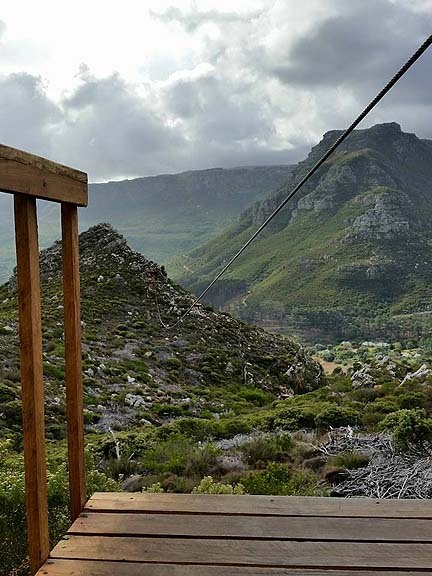 From here guests will embark on a hair raising guided 4 x 4 drive into the mountain high above Constantia with a spectacular view of Cape Town. 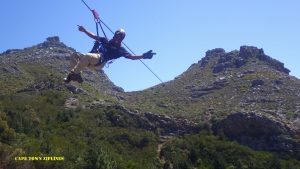 Cape Town Ziplines boarders on the Table Mountain National Park Reserve. 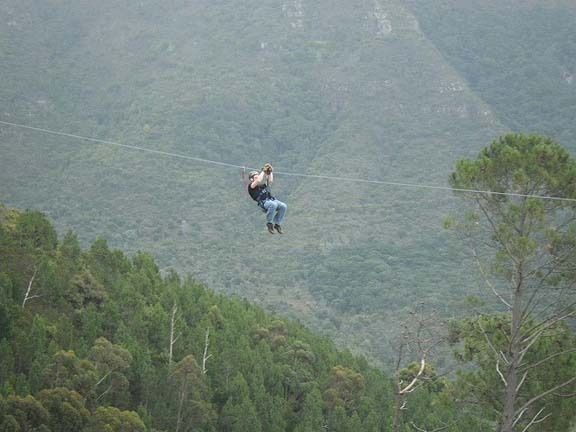 You will be surrounded by the natural beauty, fauna and flora while walking and zipline between the 12 platforms. 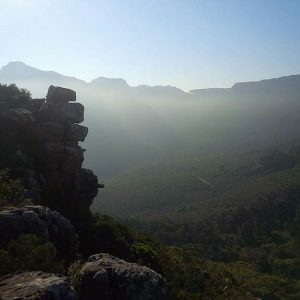 You could almost mistakably think that you are inside the Table Mountain Nature Reserve as you take in the amazing scenery. 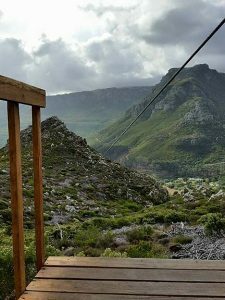 The Zipline experience offers you a tour of the cables starting high in the mountain and slowly descending down the slopes. 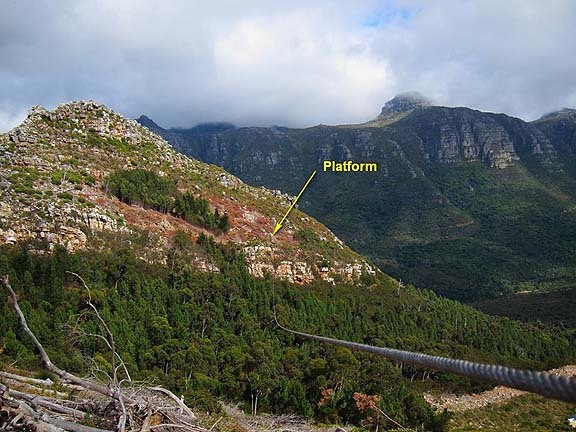 Our platforms offer visitors the most amazing panoramic views of Cape Town. Guides on the tour will assist with your extreme journey and ensure you have a memorable experience. 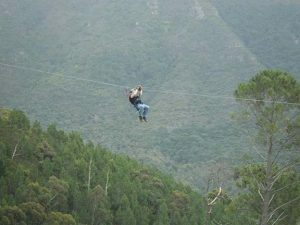 Some of our Ziplines are as high as 155 Meters with the tree top canopy below and the longest of the Ziplines in the tour is just under 500 meters. 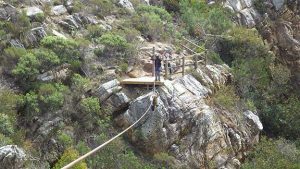 Follow Rhodes Drive passing Kirstenbosch towards Hout Bay till you reach the Constantia Nek traffic round about. 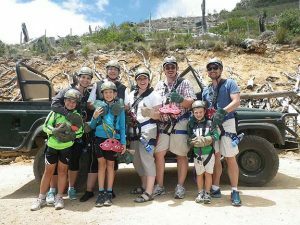 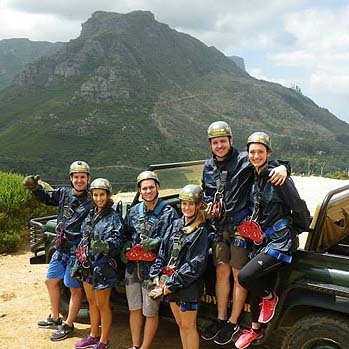 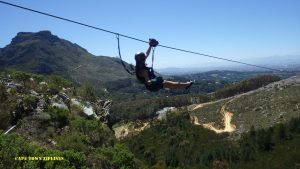 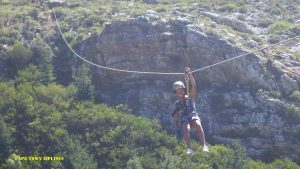 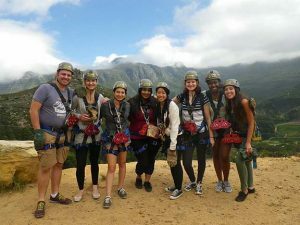 Travel down towards Hout Bay for only 400 meters – on your left you have reached a white wall with a black gate – Silvermist Estate and home of Cape Towns most extreme zipline adventure.